Post-Brexit, Things Could Change For U.K. Sports, Pets And Duty-Free Booze : Parallels How might a Brexit affect U.K. citizens in their everyday lives? Everything from mobile phone usage to Premier League football, pet travel and how much booze can be brought home duty-free may change. Prime Minister David Cameron's cat, Larry, sits on the steps of No. 10 Downing St. in London on June 24, the day Brexit voting results were announced. 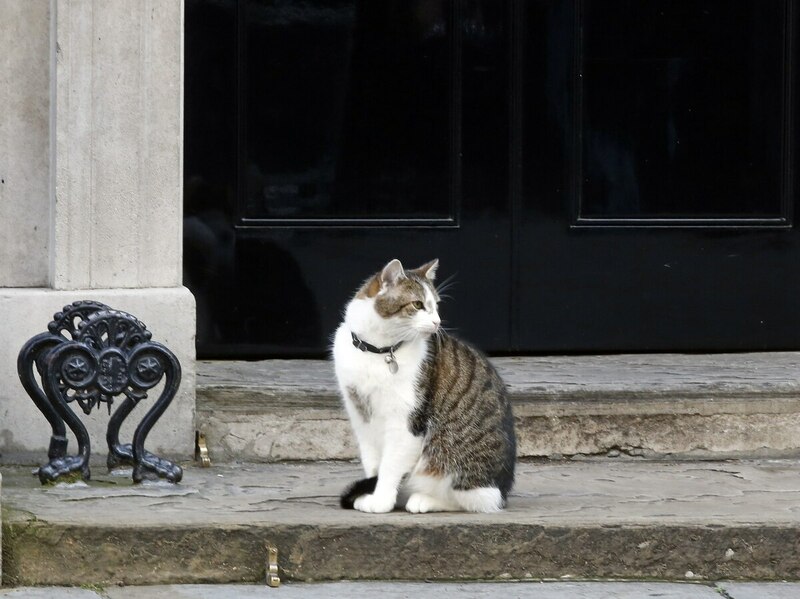 If the Cameron family wants to take Larry along on holiday to France, a Brexit could complicate plans. It's possible that traveling to and from the EU with pets will grow more cumbersome. The EU has lowered roaming charges for member countries, and last year voted to do away with them altogether — a policy that will go into effect in 2017. The U.K. may lose out on this benefit when it leaves the EU. 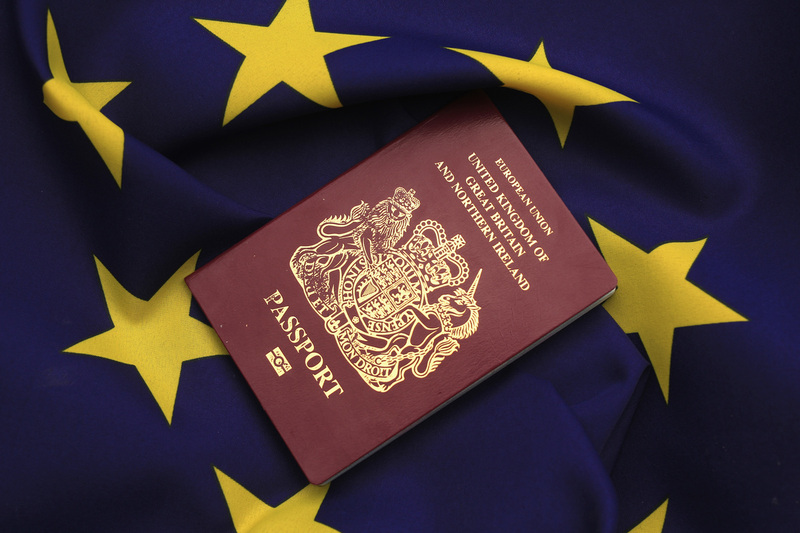 New passports omitting the EU designation at the top will have to be issued for U.K. passport holders. Both will have to be redesigned and reissued. For the U.K.'s 50 million or so passport holders, the top line on their passport's burgundy-colored cover currently says "European Union." New passports omitting the EU designation will likely be phased in as existing passports expire. U.K. driver's licenses are similarly labeled with the EU logo, which will vanish when new licenses are issued. Without the EU designation, there'll be no more breezing through passport control for U.K. citizens at European airports. They'll have to queue up with all other international travelers, unless a separate deal is negotiated with Europe. Customs controls could also change, and some are warning that British travelers will be entitled to bring home far fewer duty-free alcohol and tobacco products from EU countries than they can today — 200 cigarettes, 16 liters of beer and 4 liters of wine after a Brexit vs. 800 cigarettes, 110 liters of beer and 90 liters of wine now. 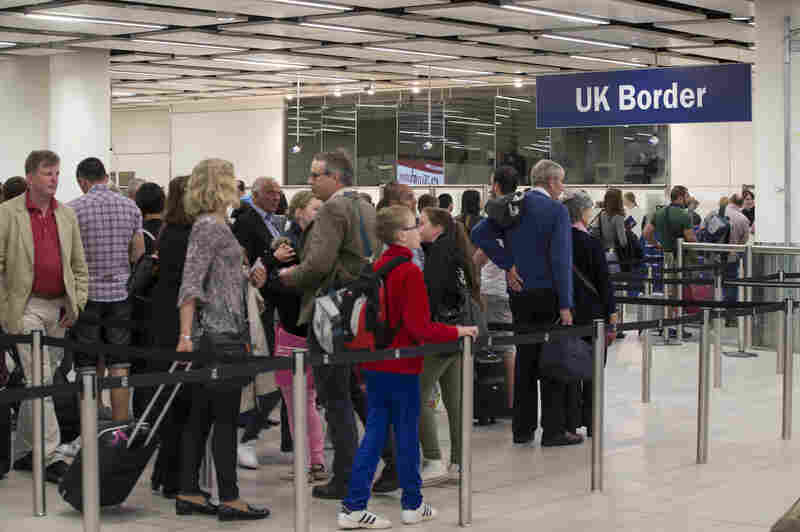 British travelers will now have to queue up with all other international travelers to clear immigration and customs in EU countries, unless a separate deal is negotiated with Europe. British pet owners can bring their cats, dogs and even ferrets in and out of other EU countries without quarantine, as long as they have valid pet passports and the animals are microchipped and vaccinated against rabies. But for unlucky pets with non-EU owners, things get tougher — they may be subject to more stringent health certification, quarantine or blood tests. The U.K. will have to apply now to the European Commission to be designated as a "listed country," one outside the EU that would still be exempt from the tougher conditions for pet travel. European soccer players who play for English clubs in the Premier and Championship leagues will no longer automatically have the right to do so and could be required to qualify for the same British work permits, visas and quotas applied to players from anywhere else in the world. All teams have EU players and thus could be affected, according to the Telegraph newspaper. The U.K. imports a quarter of its food from EU countries, and exports 70 percent, and will have to negotiate a new agreement or agreements with the Brexit. Meanwhile, food prices are expected to rise, not least because U.K. farmers will be cut loose from $3 billion worth of annual EU agricultural subsidies. EU protection of "heritage" foods will also no longer apply in the U.K. In the U.K.'s case, these include everything from Stilton cheese to Cumberland sausage and Cornish pasty. Without the protection, anyone in any country would be free to produce or market foods using the same names but not the same standards or ingredients. Cumberland sausage could come from Vienna or Vilnius. "We will need specific legislation to protect iconic products in the U.K.," a worried Matthew O'Callaghan, who runs the U.K. Protected Food Names Association, told the BBC. 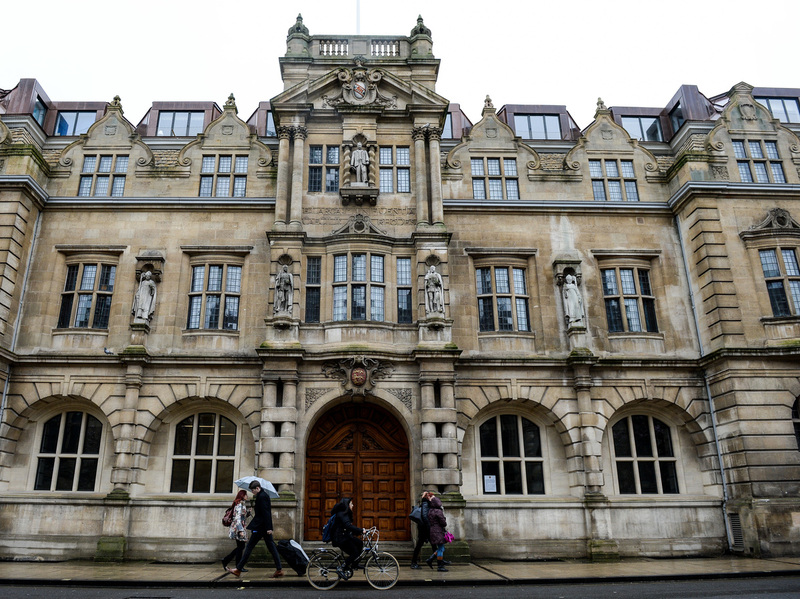 British universities, including Oxford University, are worried that the Brexit will close doors to many EU students, professors and researchers. The Brexit vote "has just blown up our foundation," Michael Ryan, the chairman of Britain's Independent Film and Television Alliance, told Variety. "As of today, we no longer know how our relationships with co-producers, financiers and distributors will work, whether new taxes will be dropped on our activities in the rest of Europe or how production financing is going to be raised without any input from European funding agencies. ... this is likely to be devastating for us." The U.K. film industry stands to lose millions in funding from the EU's MEDIA scheme, which supports film development, distribution, training and TV broadcasting. In recent years, British-made films including Slumdog Millionaire and The King's Speech "have received a huge amount of EU funding for their releases around Europe," according to an analysis by producer Stephen Follows. Buying an imported car may become more expensive for Britons if new customs duties or tariffs are imposed. British universities overwhelmingly favored remaining in the EU, as a way to keep doors open to faculty and students from across Europe. Students from EU countries currently can, for the most part, attend British universities and pay the same tuition and fees as U.K. students. Similarly, British students are free to study just about anywhere in the EU. A Brexit could jeopardize these benefits. "Our first priority will be to convince the U.K. Government to take steps to ensure that staff and students from EU countries can continue to work and study at British universities in the long term, and to promote the U.K. as a welcoming destination for the brightest and best minds," said a statement by Universities UK, a group representing Britain's higher education institutions. Undersea cables link the U.K.'s electric supply with Ireland, France and the Netherlands, benefiting all, especially during periods of peak demand. The cables, which supply a total of 4 gigawatts of power, are owned and run by private companies, but are governed by the EU "to ensure that energy moves around Europe efficiently and without bottlenecks, and that all nations have a secure and affordable supply of gas and electricity," according to the nonprofit Energy and Climate Intelligence Unit. Under a Brexit, that could change, possibly leading to higher bills — or power cuts.